No one looks forward to moving. Yet the right moving company can make the process, “a great experience,” as Karen A. discovered after she called us for help with a long-distance move from Virginia Beach, Virginia to Columbus, Ohio. 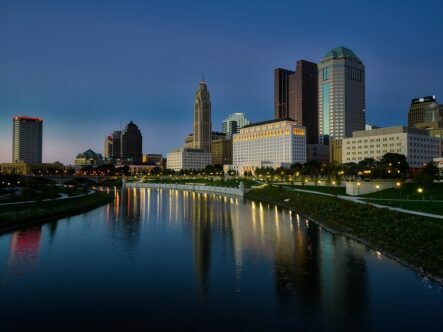 Home to one of Herlihy Mayflower’s three Ohio offices, Columbus is one of the fastest-growing cities in the Midwest. To learn more, check out our Guide to Planning Your Move to Columbus, Ohio. After our moving team had finished unloading Karen’s furniture and other belongings at her new home, she wrote to let us know how happy she was with our team. We appreciate your kind words, Karen, and wish you all the best in your new Columbus home.